John was born on the 12th January 1892, at 21 Bath Street, Buxton, the son of Harold Fowler (Grocer) and Elizabeth (née Dunn) Woolliscroft. (1891 Census RG 12/2778) John's father, Harold, died in the June quarter 1896 and in 1901 (Census RG 13/3269) John was living with his widowed mother, who was running a "Confectionery", at 35 High Street, Buxton. In the September quarter 1905 Elizabeth re-married John Thomas Marsh (Grocer), and they lived at her former home/shop on High Street. By 1911, however (Census RG 14/21375), John had left home and was lodging with the Davies family at 27 Longshut Lane West, Stockport, Cheshire and working as a "Baker". 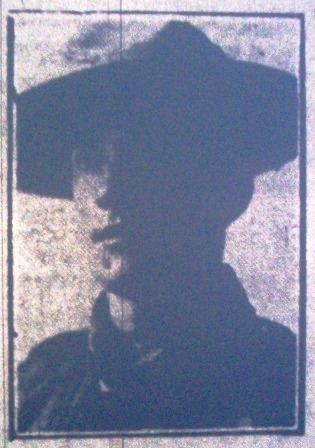 'The Buxton Advertiser' (19th October 1918) reported that John was: "... formerly a member of Buxton Boy Scouts". John was very tall for the time, being 5 ft. 11¾ ins. (1.82 m). He had a "medium" complexion, brown hair and brown eyes. Possibly because of his mother, who was born in Ireland, John recorded his religion as "Roman Catholic". The following year John emigrated to Canada, sailing from Liverpool to Montreal on board the 'S.S. Empress of Ireland' arriving on the 30th August 1912. When he enlisted in the Canadian Infantry in 1915 John gave his occupation as: "Surveyor" and his address as Red Deer, Flagstaff, Alberta, Canada. John enlisted into the Canadian Army in Red Deer, Alberta, on the 12th January 1915. He stated that he had formerly served in the "Yeomanry" for two years, but was not currently active - no doubt "The Derbyshire Yeomanry" whilst living in Buxton. "The Buxton Advertiser" of the 19th October 1918, when reporting his death, stated that "Pte. Wooliscroft was serving with the 12th Canadian Mounted Rifles." (known as the "Black Devils") CWGC Records show him serving with the 8th Battalion, Manitoba Regiment. Canadian Service Records, however, show that John originally enlisted as a "Trooper" in the Mounted Rifles and at some stage [see below] transferred to the Manitoba Regiment. The 12th Mounted Rifles was organized in December 1914 under the command of Lieutenant-Colonel George Macdonald and mobilized at Calgary, Alberta. The Battalion was recruited in Calgary and Red Deer. The Battalion left Montreal on the 9th October 1915 aboard the "Missanabie" and arrived in England on the 18th October 1915. At that time its strength was 27 officers and 541 other ranks. Draft of 306 was sent to the 2nd Canadian Mounted Rifles on the 28th January 1916 and the remainder were sent to The Fort Garry Horse at the Canadian Cavalry Depot on the 3rd February 1916. 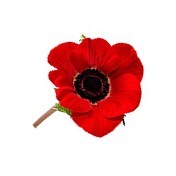 The Battalion was disbanded by Privy Council Order 532 of the 5th April 1918. Maybe at that time John transferred to the 8th Battalion which had initially embarked at Quebec on the 1st October 1914 aboard the "Franconia", disembarking in England on the 14th October. Its strength was 47 officers and 1106 other ranks. The Battalion landed in France on the 13th February 1915, becoming part of the 1st Canadian Division, 2nd Canadian Infantry Brigade. After John joined 8th Battalion in April 1918 his Division was engaged in actions during the German offensive in Flanders - Operation 'Georgette' - the Battles of the Lys, 9th - 29th April 1918. Later in the year the Division fought in The Battle of Amiens, 8th - 11th August, followed by The Battle of the Scarpe, 26th - 30th August, and The Battle of Drocourt-Queant, 2nd - 3rd September, (both phases of the Second Battles of Arras 1918). The attack began at 5.00 a.m. on Monday, 2nd September. The 1st Canadian Division went forward south-eastwards on the extreme right, south of the Arras-Cambrai road. The 4th Canadian Division were in the centre, between Dury and the main road, and led the assault up the exposed ridges, behind an intense artillery barrage. By nightfall the Drocourt-Quéant Line had been breached and Canadian Corps Battalions surged into the open country beyond. A general German retirement took place during the night of 2nd/3rd September and, on the following day, the forces moved forward to within striking distance of their next objective - the Canal du Nord. Later in the month came Battles of the Hindenburg Line, the first of which was The Battle of the Canal du Nord, 27th September - 1st October 1918. Canadian forces had had considerable success at Drocourt-Quéant and once again the Canadian Corps was given a principal role in the renewed offensive. At 5.20 a.m. on Friday the 27th September, following a night of heavy rain, assault troops of the Canadian 4th and 1st Divisions left their assembly positions and attacked on a narrow front (centred on Sains-lez-Marquion) behind a devastating creeping barrage. The British Third Army’s infantry, immediately to the south (right flank) advanced simultaneously. With dense clouds of smoke blowing towards the enemy lines the leading Canadian assault troops, assisted by tanks, quickly crossed the canal. Attacks were renewed on the following day (28th) although Canadian progress slowed. Battalions of the Third Army captured Noyelles, Marcoing, and Gouzeaucourt, and seriously threatened Cambrai. In two days an advance of six miles was made on a twelve mile [19.3 kms.] front; 10,000 enemy prisoners and 200 guns were taken. The next day, 28th September, saw the Canadian Division run into unmapped wire and they suffered heavy losses in front of the Douai Road. John was one of 16 men of the 8th Battalion to be killed in action on the 28th September 1918, and one of the eight buried together in Haynecourt British Cemetery. A total of 112 Officers and men of the Battalion were killed in action or died of wounds during the five day Battle of the Canal du Nord, 27th September - 1st October 1918.